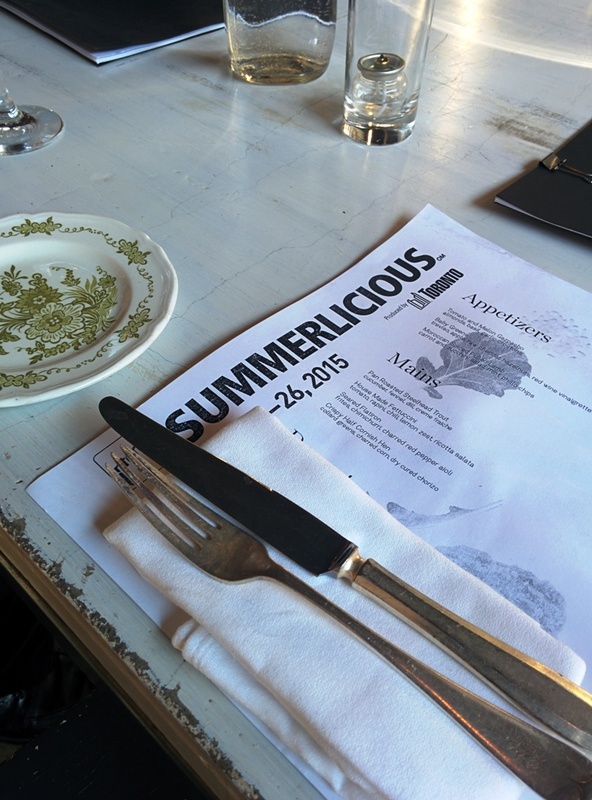 The EatnMingle group recently hit up Smith restaurant up on Wellesley for an event featuring their Summerlicious menu. Their menu was well varied with a select few type of dishes that all sounds fantastic. I opted for the Moroccan pulled lamb with pita chips and coleslaw for the entree. 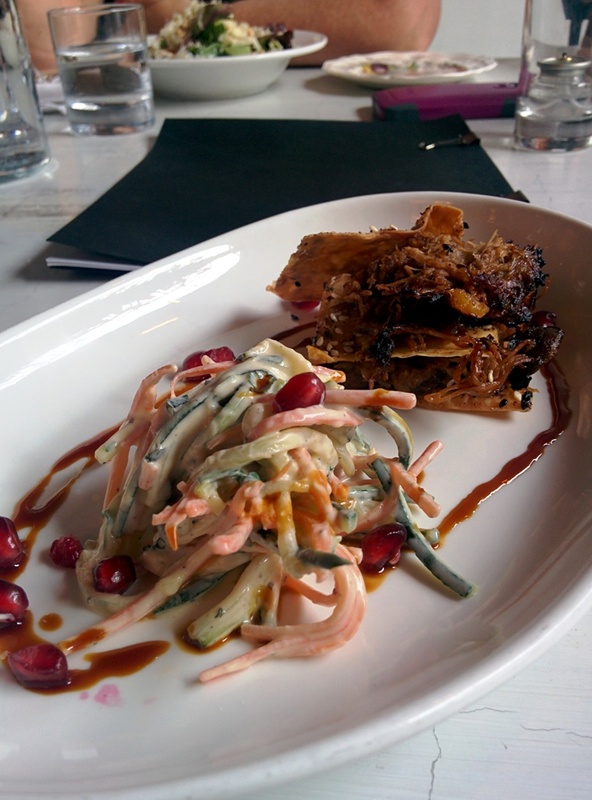 It was a great choice; the tenderness of the pulled lamb between crisp pitas went perfectly with the creamy slaw. I found the whole dish worked in terms of both flavor and texture. As a main I was torn between the steak and the crispy hen, after uming and ahing I ended up going with the crispy hen and found myself a little disappointed that it wasn’t as crispy as I would have liked. Apart from that small problem the rest of the elements of the dish were great; with the flavors on the plate and hen just amazing together. Lastly was dessert. 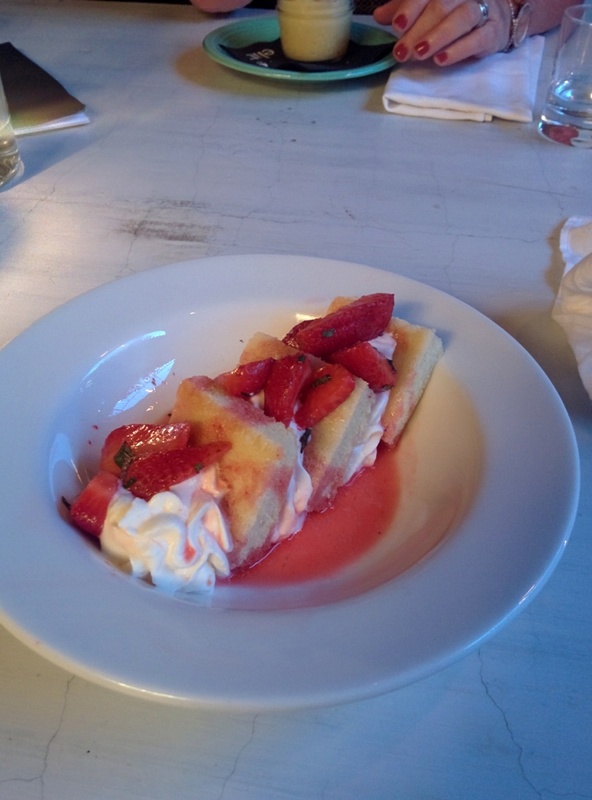 I was feeling full and decided to choose the least rich sounding dessert, the strawberry shortcake. I won’t lie, I persuaded everyone to let me try theirs and I will say now the lemon meringue was my personal favorite, the chocolate a close second with the strawberry shortcake being my disappointment of the night. 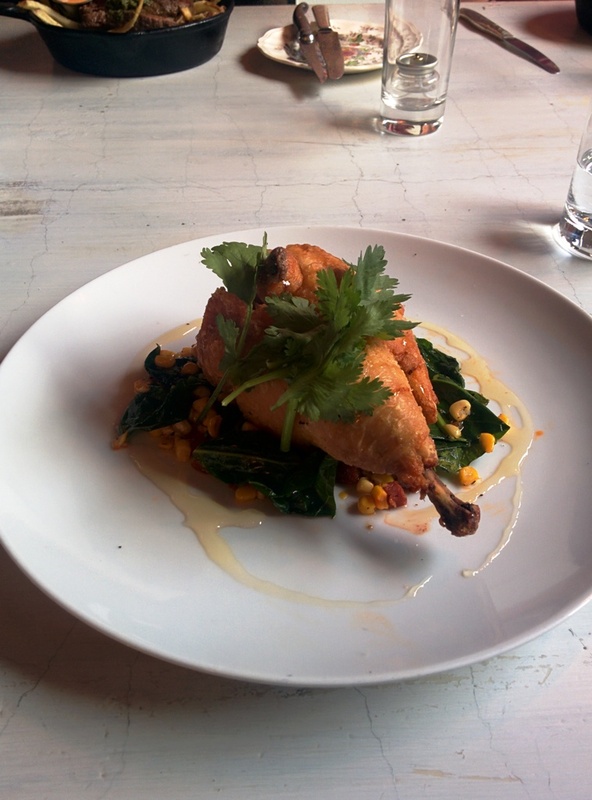 I really enjoyed the atmosphere and food at Smith and would definitely consider going back sometime in the future. Posted on August 5, 2015 October 13, 2015 by AdrielPosted in Canada, Fried Chicken, SteakLESS, TorontoTagged fried chicken, summerlicious; pulled lamb, Toronto.